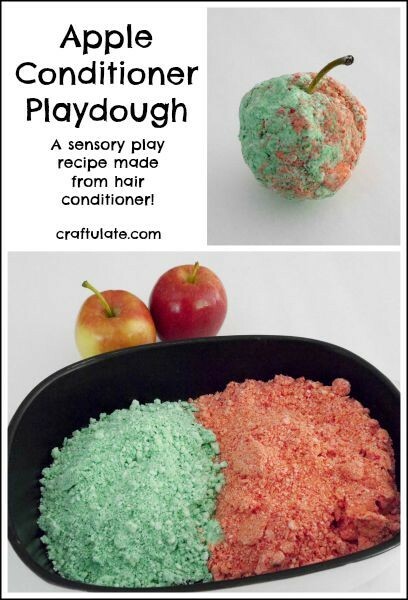 I really wanted to make an apple sensory dough this year. 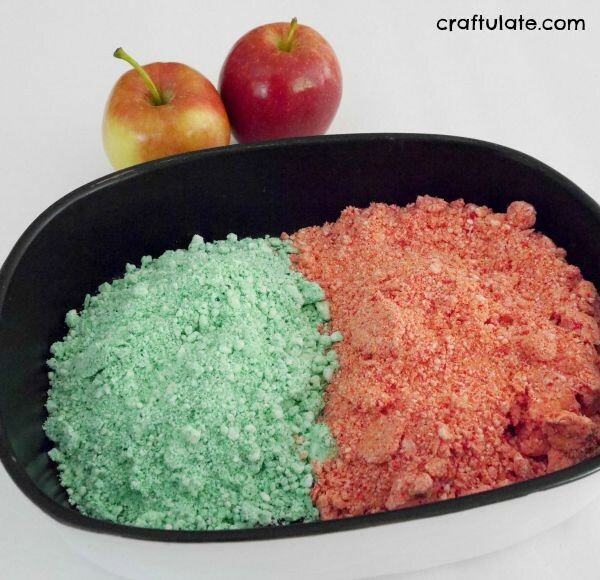 When I previously made an apple scented play recipe I used apple Jello powder! After reading around for a bit there are many other ways of getting that apple scent – apple fragrance oil, apple hand soap, apple extract or apple hair shampoo or conditioner. The latter option really stood out for me, as it only needed two ingredients. This was the most popular recipe that I found. I got both these ingredients from the dollar store, with lots left over, so this is a fairly frugal play recipe. The instructions are simple – just mix the two together. 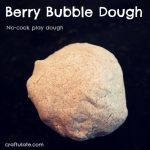 When everything is combined it will look like a bowl of crumbly substance, but if you pick it up and try and mold it, it will hold together enough to form into basic shapes. I wanted stronger colours in this dough, however, so I split the mixture into two bowls, and added some icing gel colours – red to one half and green to the other. It took quite a lot of mixing to get the color even, and I didn’t quite manage it because my son found me and wanted to know what I was making! I tipped both colors into a baking dish and handed it over. At first he ran his hand through the crumbly texture. Then I showed him that the dough would stick together if he squeezed it in his hand. We talked about the apple scent and the apple colours, and I even picked some stalks from real apples so that we could make pretend ones! Note: This activity can get rather messy. My son is very careful but I still had to do some clean-up after he had finished. 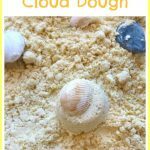 This sensory dough is easy to keep until the next day – just place some plastic wrap over the dish.